Happy Thursday! As always, thank you to those who linked up with us last week. We are so excited that the link up continues to grow, and we love seeing everyone's posts each week. Also, fall fashion is starting to peek its way in, and it is so much fun to see how everyone is starting to transition into the new season! Now, it's time to get linked up and go meet some new blog buddies! 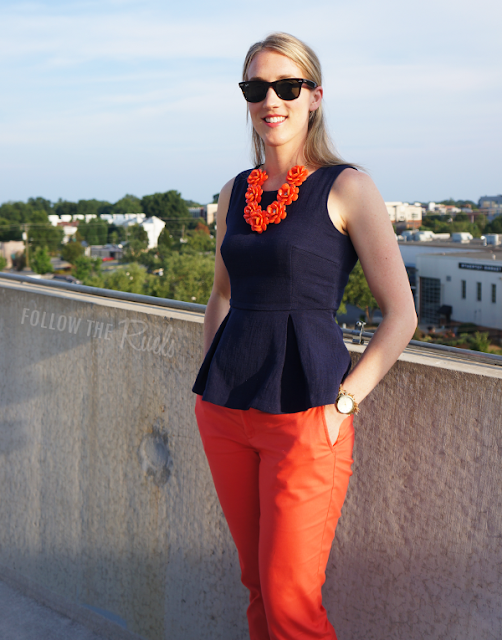 Lindsey of Follow the Ruels paired a flattering navy peplum top with orange cropped pants and a statement necklace. Such a great transition from the bright colors of summer to the darker colors of fall! 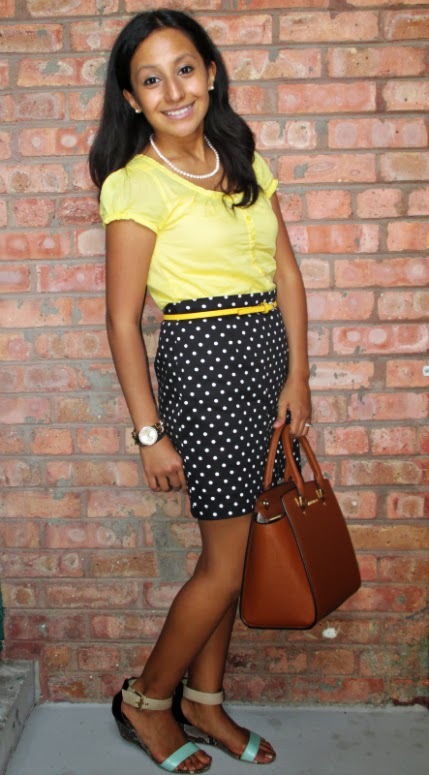 As you know, we are both big fans of a polka dot skirt, and we love how Tiny Bits of Nonsense paired hers with a yellow top! And how great is that Michael Kors bag? Swoon. 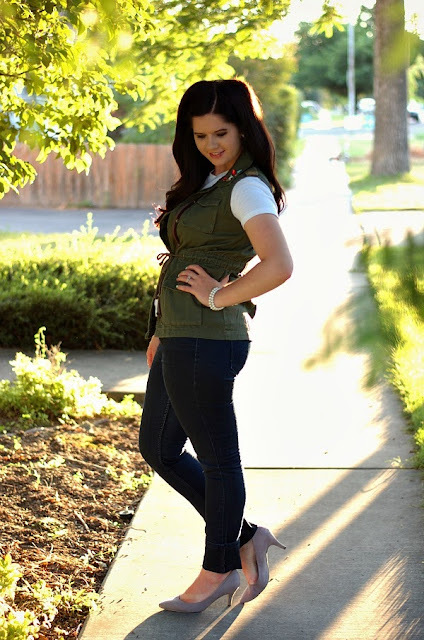 Jessica of Love Love Love is ready for fall in her new favorite vest. We must say, we are ready too, and this vest just made it on our must-have list! We love the military style and gem detail, plus it's only $15! Say what? !